Marshall, Tabitha. "Shirley and Sharon Firth". The Canadian Encyclopedia, 20 October 2015, Historica Canada. https://www.thecanadianencyclopedia.ca/en/article/shirley-and-sharon-firth. Accessed 23 April 2019. Shirley Firth, cross-country skier (born 31 December 1953 in Aklavik, NWT; died 30 April 2013 in Yellowknife, NWT) and Sharon Anne Firth, cross-country skier (born 31 December 1953 in Aklavik, NWT). Twin sisters Shirley and Sharon Firth, members of the Gwich’in First Nation, were among the first Aboriginal athletes to represent Canada at the Olympics, and were members of the first Canadian women’s cross-country ski team at the Olympics. In total, they competed in four Winter Olympic Games. The Firth sisters were introduced to skiing through the Territorial Experimental Ski Training Program, and were members of the national cross-country ski team for an unprecedented 17 consecutive years. Between them, the sisters won 79 medals at the national championships, including 48 national titles. 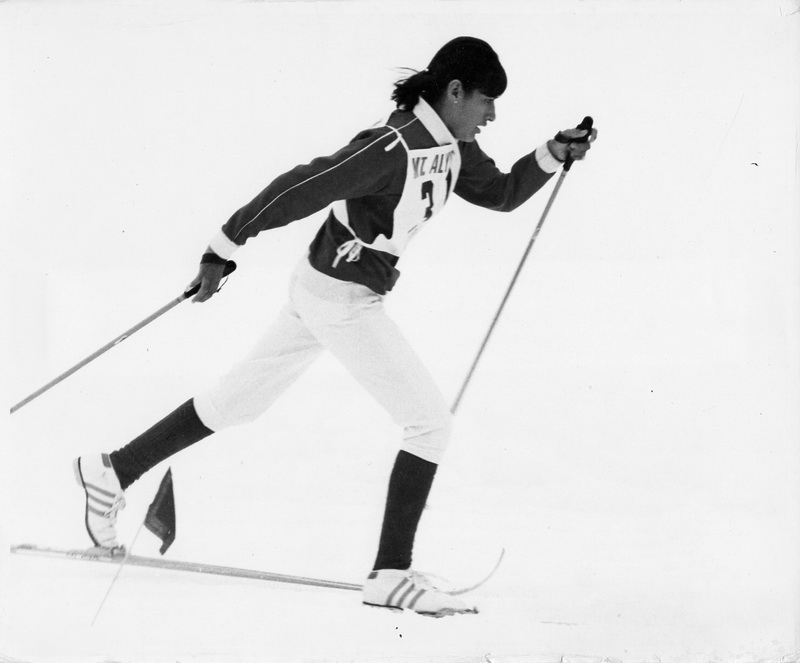 Shirley Firth, 15years old at the time, on her way to winning the US Junior National Cross Country Skiing Championships in Girdwood, Alaska, 1969. Image courtesy of Tim Kelley/Alaska Lost Ski Areas Project. Shirley and Sharon Firth were born in Aklavik, NWT, and spent their early years in a log house with their mother (a member of the local Gwich’in First Nation), their father (a Loucheaux-Métis), and their ten siblings. When the girls were still children, the federal government relocated the small community to nearby Inuvik, which had been constructed due to concerns about flooding and erosion in Aklavik. Like many other children in the area, the twins were taught at an early age how to trap and hunt by their parents. Father Jean-Marie Mouchet, a French Catholic missionary priest, was impressed by the athletic potential of the hunters and trappers of the far north. With federal funding, he established the Territorial Experimental Ski Training Program (TEST), with the intention of motivating Aboriginal youth and building their leadership skills. The federal government believed that TEST would promote amateur sport in the country, and that it would help integrate Aboriginal youth into mainstream Canadian society. TEST was first established in Old Crow, Yukon, but soon expanded to Inuvik. The Firth sisters were introduced to cross-country skiing through the TEST program, which required the young skiers to train for hours outside; in winter, they skied in complete darkness in temperatures as low as 40 degrees below zero, and in summer, they logged long runs across the tundra, battling fatigue and mosquitos. Motivated in part by their desire to see the world, the Firth sisters worked hard to make the elite team, coached by Norwegian Bjorger Petterson, and soon started competing in national and international competitions. Success came quickly, with the Firth sisters winning silver (Shirley) and bronze (Sharon) medals in their national debut at the Canadian Junior Cross-Country Championships in 1968. 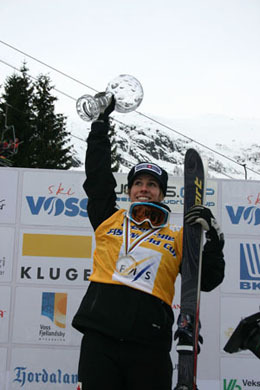 The following year brought gold for both sisters in various cross-country events in Canada, Alaska, and Sweden. The Firth twins dominated Canadian cross-country skiing from the late 1960s to the mid-1980s, capturing 48 Canadian championships, and 79 national medals overall: Shirley won 42 national championship medals (29 gold, 10 silver, and 3 bronze), while Sharon won 37 national championship medals (19 gold, 14 silver, and 4 bronze). The sisters also competed in a number of World Championships, as well as in four Olympic Games — Sapporo (1972), Innsbruck (1976), Lake Placid (1980), and Sarajevo (1984). 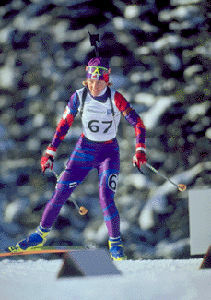 Shirley and Sharon Firth are the only female Canadian skiers to have competed in four consecutive Winter Olympic Games. Although they failed to medal at either the Olympics or the world championships, Sharon’s 26th place in the women’s 5 km race at the 1972 Olympics remains a Canadian best (the event was discontinued after the 1998 Olympics, and was replaced by the 5/5 km pursuit, which was won by Beckie Scott in 2002). After they retired from competitive skiing (Shirley in 1984 and Sharon in 1985), the sisters’ paths diverged. Sharon settled in Yellowknife, NWT, and eventually became a Youth Program Advisor for the government of the NWT, speaking to communities across the NWT. As a firm believer in the positive influence of sport, Sharon has also tried to resurrect the TEST program, which was phased out in the late 1980s. Shirley and her husband Jan Larsson moved to Paris, where they lived for over 20 years. She earned a teaching certificate from the University of Paris, and lectured on the Dene and Inuit cultures in universities and cultural centres in Scandinavia and central Europe. In 2005, Shirley Firth Larsson moved back to the NWT. At the time of her death from cancer in April 2013 (at age 59), she was Executive Assistant to Jackie Jacobson, speaker of the NWT Legislative Assembly. 87 02 TAMAPTA Walter Goose interviews Shirley and Sharon FirthView an interview with champion skiers Shirley and Sharon Firth. From YouTube.